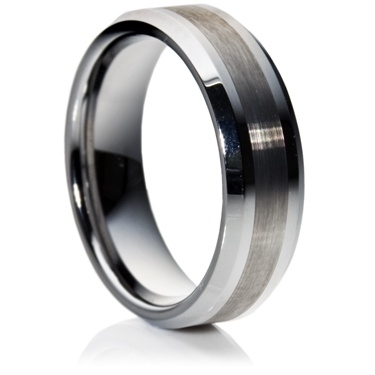 8mm tungsten carbide comfort fit profile ring. Comes with a matte finish band with highly polished beveled edges that are extremely tolerant to scratching. Unlike other metals it will maintain its polish for many years.